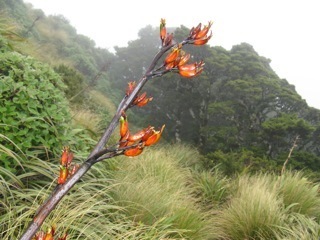 "Nature's Healing Matrix" is found in the native plants of Aotearoa New Zealand - our land. Our flowers, ferns, trees, seeds and plants, in the form of the First Light Flower Essences of New Zealand, work on healing the five layers of our being - personality (flowers), aura (ferns), chakras (trees), DNA (seeds) and soul level (plants) - to help us transform, clear, balance, re-pattern and grow, respectively. Nature's Healing Matrix is a five-part pattern to restore and maintain health and well-being on a holistic level, naturally. So, how do we work with Nature's Healing Matrix? It's easy! A "constitutional blend" based on a person's birthdate is the ideal way to select a personal essence blend of at least one flower - our "power flower" - to transform negative personality traits; plus a fern, tree and seed to provide the "triangle of power" to clear, balance and re-pattern; as well as one or two plants to enhance life. Two bottles of flower essences are recommended, taken as drops daily. We often wait until we have a problem before taking action. However, by taking the essences daily, whether there is a perceived problem or not, assists in restoring and maintaining heath and well-being. When all aspects of our holistic being are in harmony, balanced and integrated, we experience true healing and are in a state of natural well-being. We can then live life in a way that is rich, fluid and dynamic and can fully express our uniqueness. We can walk our path with the capacity to be at one with all that is. Sound good? Give flower essences a go - nothing to lose and much to gain. An ancient way of working with plants - and totally relevant today in the 21st Century. Astrea Morgane returns to Healium on Wednesday, 16 November for sessions in flower essences, homeobotanicals, homeopathy and Rongoa.